After our successful DIY (Dream it Yourself) Custom Design Contest, we’d like to proudly announce the winner of our stud earring giveaway, given to one lucky online voter. Kirstin wins a pair of our exclusively designed fleur-de-lis earrings. 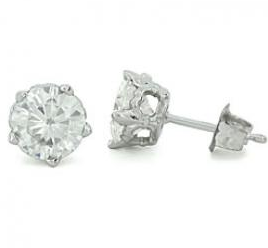 We chose these earrings as the winning prize because they work with just about any outfit. Plus the fleur-de-lis is a powerful and ancient symbol often used to represent royalty. Kirstin, may you feel like a Queen when you wear them! 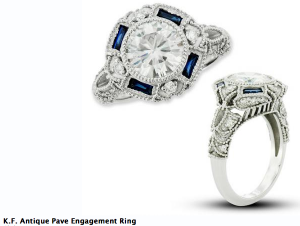 What Story Could You Tell with a Custom Design Ring? Today we announced the winner of our 4th annual DIY (Dream it Yourself) Jewelry contest. Read the story here. Check out the video below, showcasing all of the elements in the ring, each representing a family member. 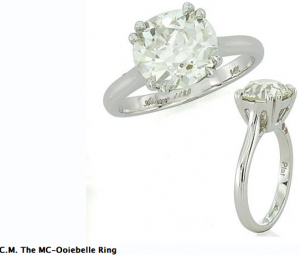 So why would you consider having a piece of custom design jewelry? Custom design jewelry is about as individual as you. If you’ve never considered it, give us a call and we’ll show you how easy the process can be. What story could you tell with a piece of jewelry? Our DIY (Dream it Yourself) Custom Design contest is officially off and running. This unique contest is composed of custom design pieces created by our team. The piece of jewelry that collects the most votes wins $500. Simply by voting for your favorite piece and liking our Facebook page, you become eligible to win a pair of our exclusive fleur-de-lis stud earrings. We chose these particular earrings because they look great on any woman and just about any outfit. And you also get a taste of what we do best: custom design jewelry. So get your vote in, like us on Facebook and you could be getting a personal present from us in the very near future! Our One-of-a-kind Custom Design Jewelry Contest is Off & Running! Most of our contestants understand that this isn’t your average, run-off-the-mill jewelry contest. Since each piece is custom designed according to the contestants exact specifications, it takes months for our designers to get it just right. Our Dream it Yourself (DIY) Jewelry contest is nothing short of a labor-of-love! This year, we’ve had the most contestants ever and already, the heat is on! So get in there and vote…oh and like us on Facebook for updates! One lucky voter wins a pair of our exclusively designed fleur-de-lis earrings.